Call off the dogs! It is now official. 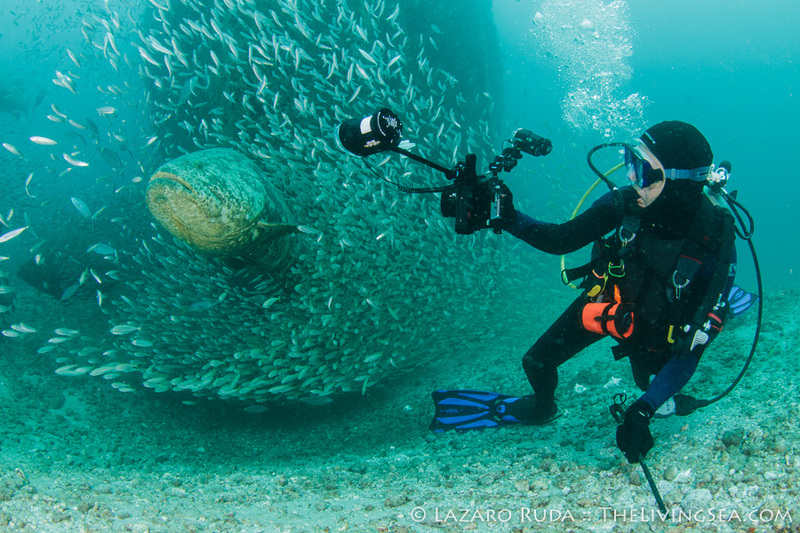 The world-famous goliath grouper diving season is in full swing in West Palm Beach, Florida. For the last couple of weeks these giant groupers have been aggregating around our wrecks, but there was one essential ingredient missing that makes this dive with these giant groupers so unique — baitfish! As you can see in the photograph, these huge swarms of baitfish turns the action up a notch. 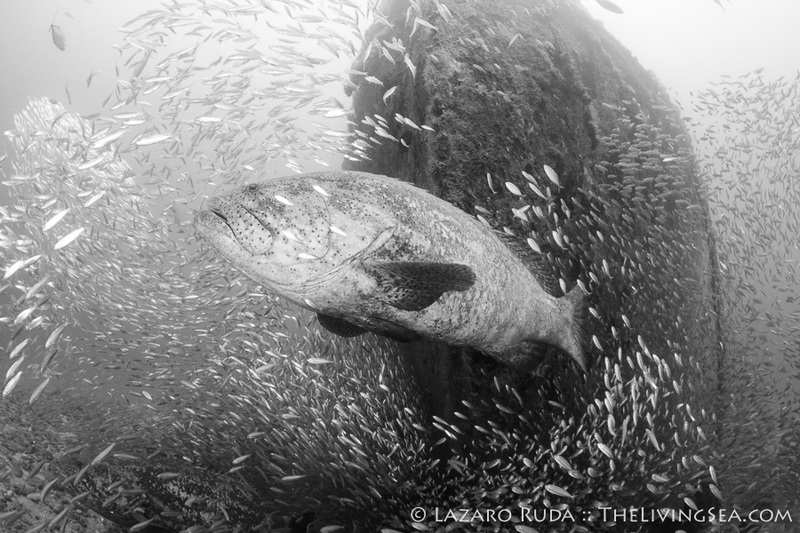 It’s not only the goliath groupers who take advantage of this plethora of tasty baitfish morsels, but jacks of all kinds circle the bait fish in order to keep them corralled around the groupers. The best part is, with a little patience, you can get within inches of this incredible underwater spectacle. 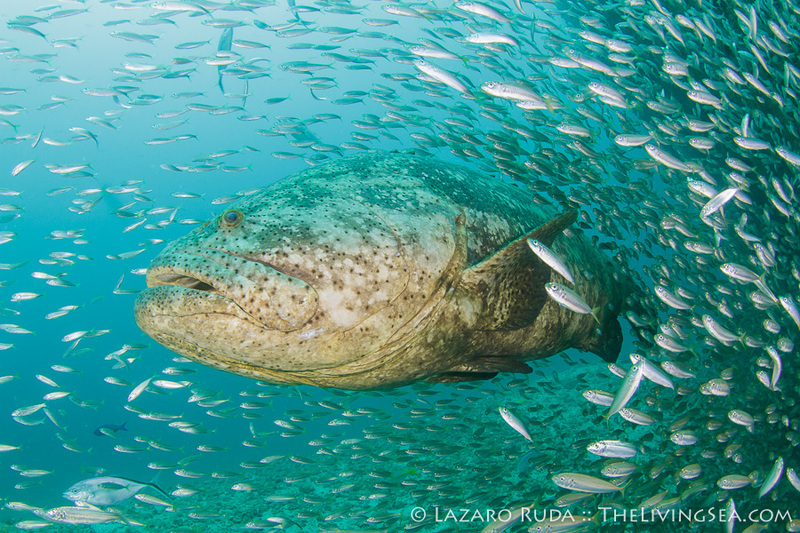 These giant groupers are so enthralled by the bait ball that divers don’t seem to bother them too much. You know the action is out of this world when you spend the whole dive in one spot! Today’s group of divers enjoyed a double dose of these giant groupers. Our first dive on the Corridor wrecks had plenty of them surrounding the wrecks. Just when they thoughts the diving couldn’t get any better we dropped in on the Danny wreck and these giant groupers were stacked high. If you haven’t booked your spots for this amazing, one-of-a-kind dive that you can only experience in Palm Beach County, don’t hesitate to call us. The warm water, flat summer seas, and this out-of-this-world diving experience attracts divers from around the world. If our photos don’t convince you then consider the fact that these giant groupers have attracted the attention of an upcoming BBC Blue Planet series (coming soon!) and National Geographic. 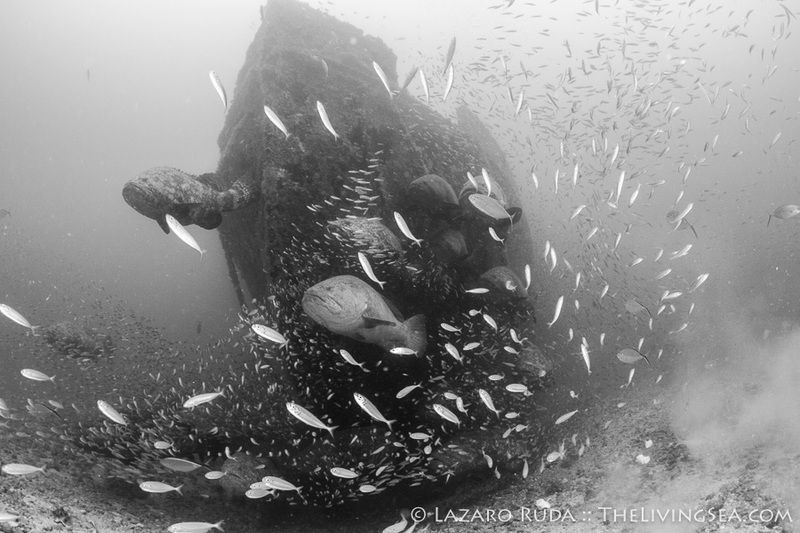 Keep watching our web site for more updates on these amazing goliath grouper dives. It is bound to get even better. Call us and be a part of the underwater adventure! Thank you for the incredible pictures. It was an incredible, out of this world Dive !!!! Glad you enjoyed your dives. We hope to dive with you again soon!